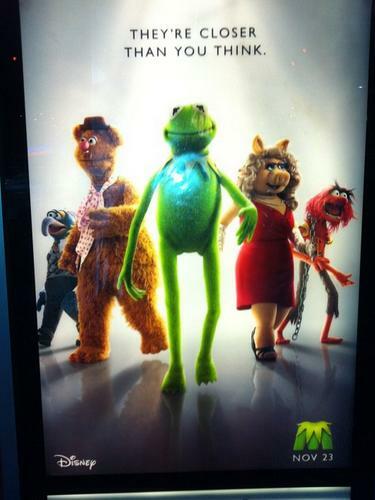 Here's first look at the teaser poster for the upcoming film The Muppets which stars Jason Segel, Kermit the Frog, Miss Piggy, Fozzie Bear, Gonzo, Animal, Jason Segel, Amy Adams, Chris Cooper and Walter. Like many of you I grew up watching The Muppets, and it will be great to see these classic characters up on the big screen again. The film is set to come out on November 23rd 2011. I hope it turns out to be a great film, I'm really looking forward to it. The poster is creepily awesome. Seeing these characters full body is a little weird because it's something we rarely see.